My Lease is Almost Over; What Comes Next? Is your vehicle’s lease approaching its end? There are numerous options when it comes to what you do next after the lease, and there are some aspects to consider. For instance, are you enjoying the current vehicle you have? Do you want a newer model? Or, would you like a smaller or larger vehicle? While there is a lot to contemplate, Toyota has options to help make the process easy. 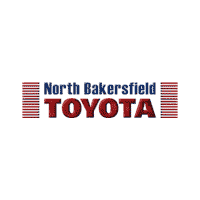 Once you bring the Toyota you currently are driving to us at North Bakersfield Toyota because the lease is up, there are different options you have in regards to how you get your next vehicle. If the vehicle you currently have is what you are looking for, but you would just like a newer model, you can opt for that choice. Feel free to take a look at what we have available, and then you will have the option to either lease or purchase the one that catches your eye. If you aren’t concerned about getting a newer model, and you would like to keep the one that you have now, you can get a payoff quote from our finance team, and opt to purchase the current Toyota you have. Or, if you ultimately decide not to get another Toyota, then you will simply turn in the vehicle to us once the lease has come to an end. If you need assistance, contact our finance center in Bakersfield, CA, today! 0 comment(s) so far on My Lease is Almost Over; What Comes Next?